The 45-mile HAMAKUA COAST ROAD TRIP from Hilo to Honoka‘a is stunning. Highway 19 rises above HIGH, EROSIONAL CLIFFS that drop to the foaming surf below. Above the highway, the mountainside is blanketed in greenery interlaced by rushing streams, with two volcanoes—MAUNA KEA AND KOHALA—rising in the distance.It is also where Hawai‘i’s scrumptious HAMAKUA MUSHROOMS originate. HONOKA‘A is a postcard-perfect site, with a main street, historic storefronts, shops, restaurants and a church steeple. There’s a Saturday-morning farmers’ market, bedand-breakfast accommodations, vintage hotel, barbershops, bakeries and more. Honoka‘a is a gateway to WAIPI‘O VALLEY, one of Hawai‘i Island’s most scenic-and-sacred destinations. Off-limits to rental cars, it is accessible by horseback, bicycle or foot. To get there from Honoka‘a, take Highway 240 to the lookout above the valley. 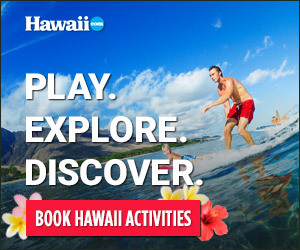 Other stops along the Hamakua Coast include AKAKA FALLS on Highway 220, HAWAII TROPICAL BOTANICAL GARDEN just outside Hilo, KOLEKOLE BEACH PARK and BOTANICAL WORLD ADVENTURES, home to WORLD BOTANICAL GARDENS & WATERFALLS, where UMAUMA FALLS is located.